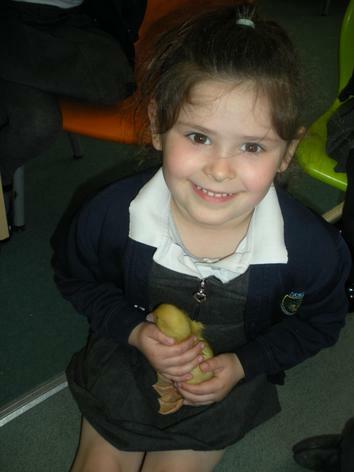 On Tuesday we had a very exciting delivery in class. 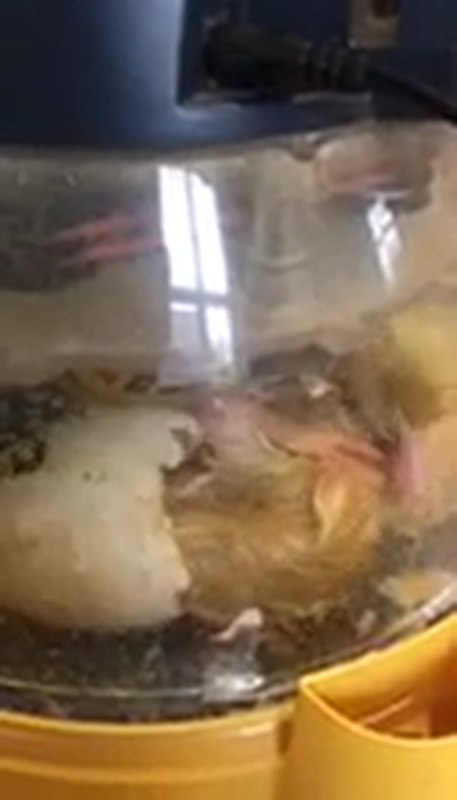 A lady arrived with 6 eggs and an incubator and we could hear little cheeps coming from inside. 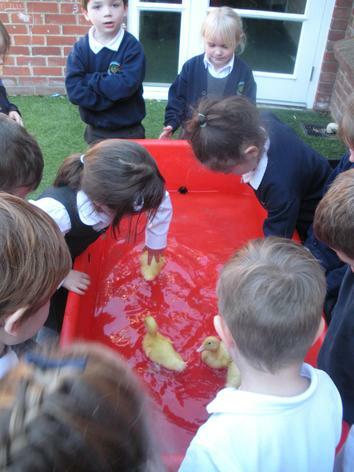 The children noticed that the eggs were beginning to crack and that they could see the cracks opening up bit by bit. 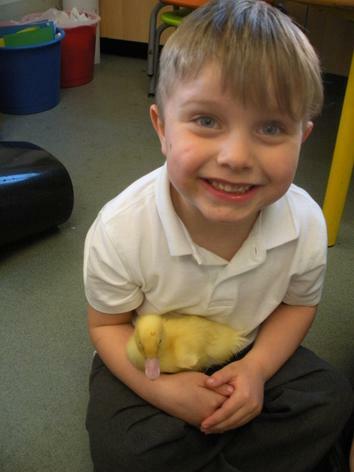 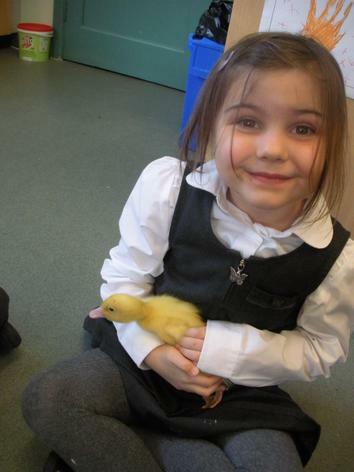 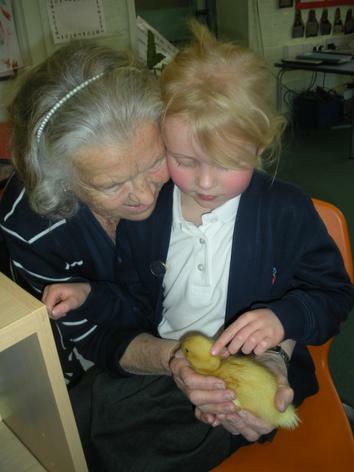 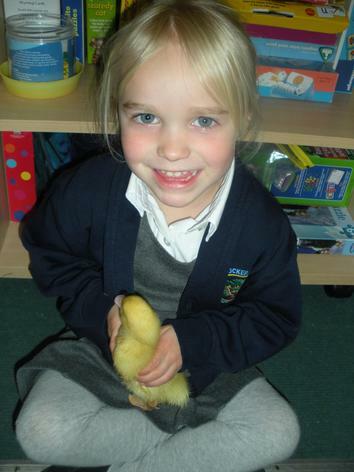 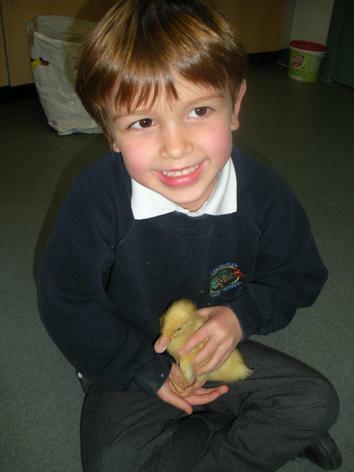 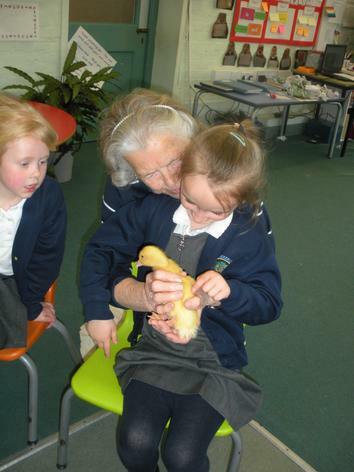 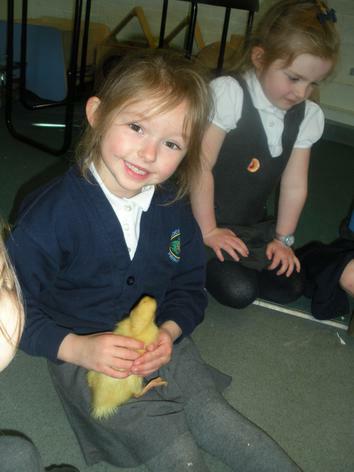 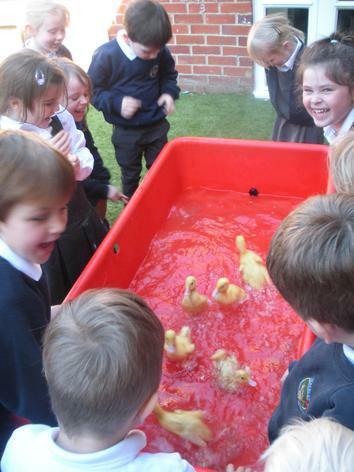 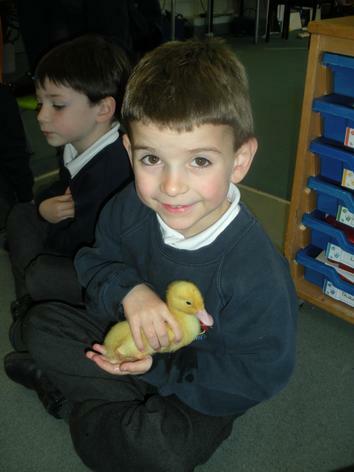 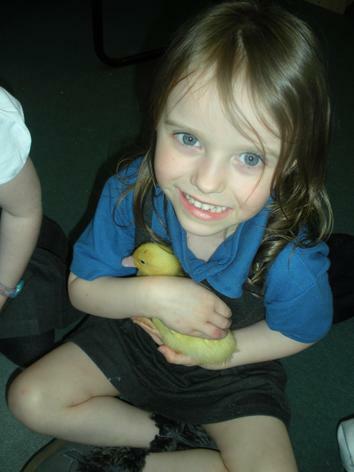 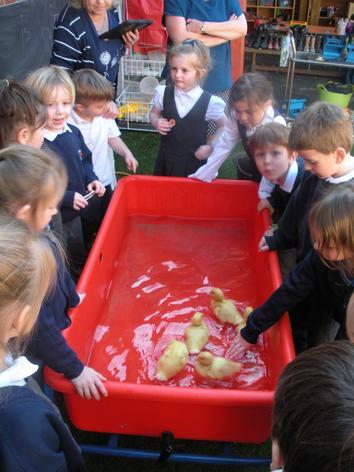 By 6 o clock that evening we had our first duckling which Mrs Kwiatek named Doris. 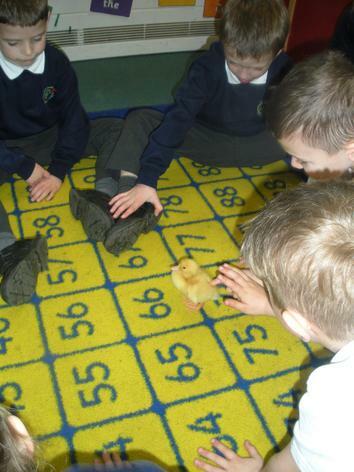 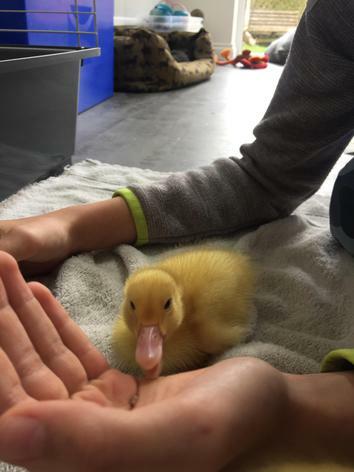 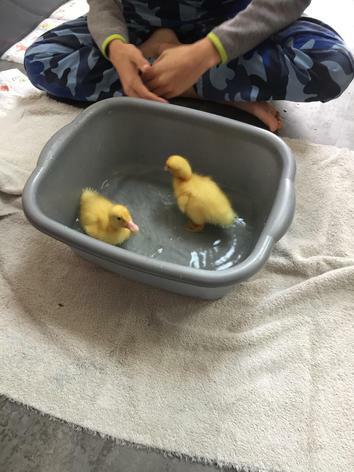 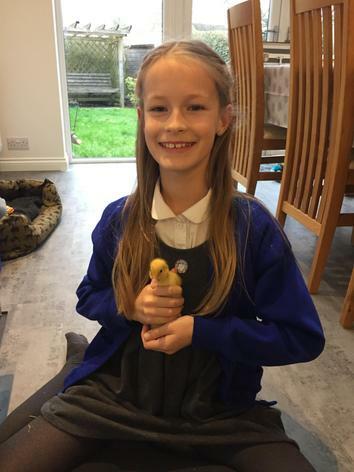 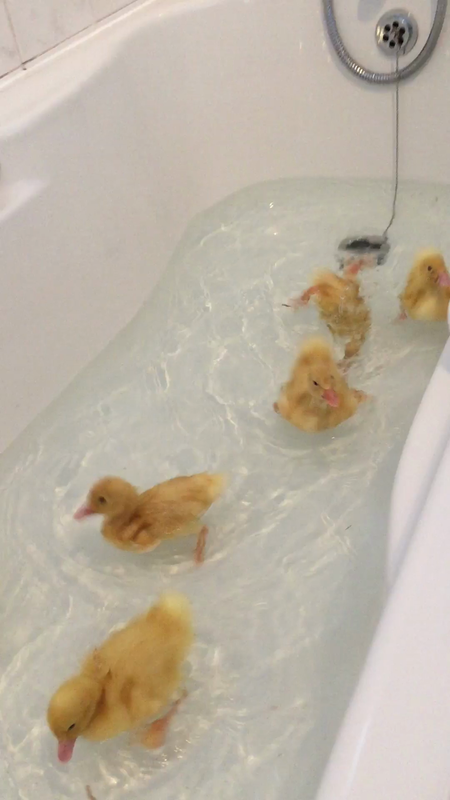 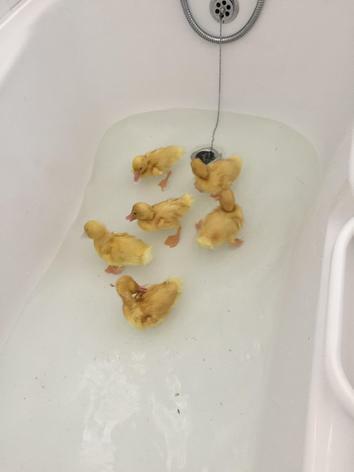 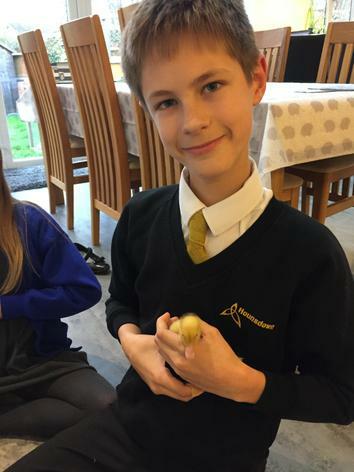 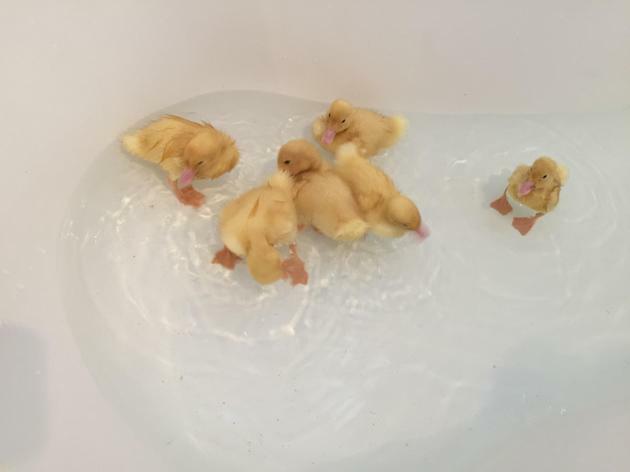 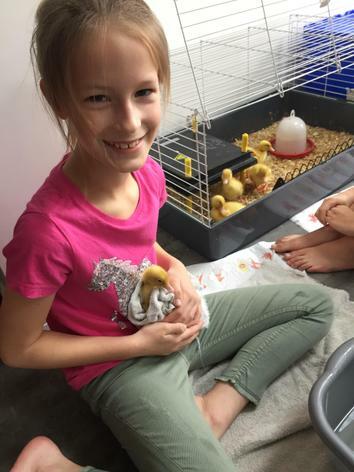 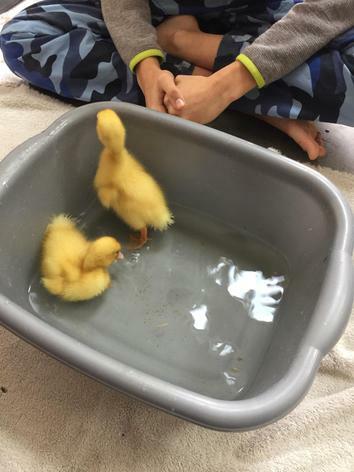 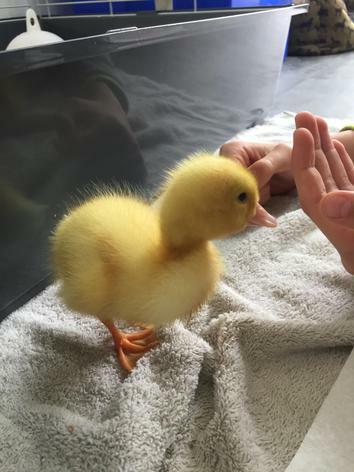 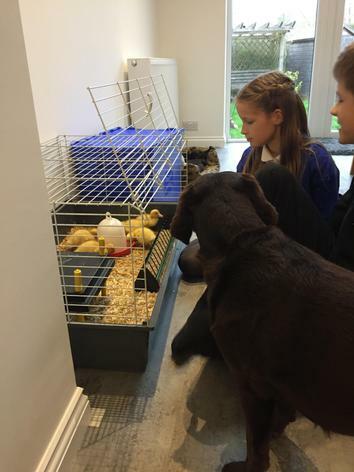 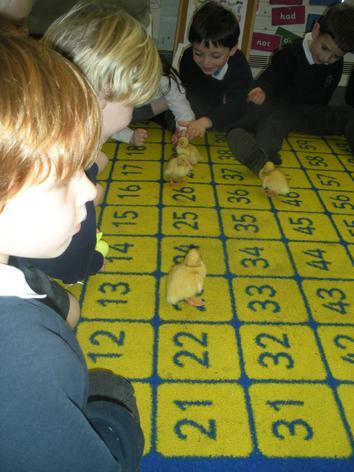 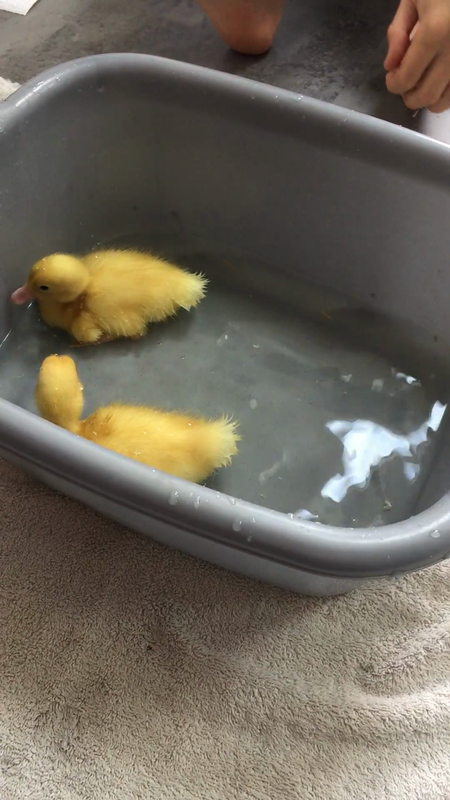 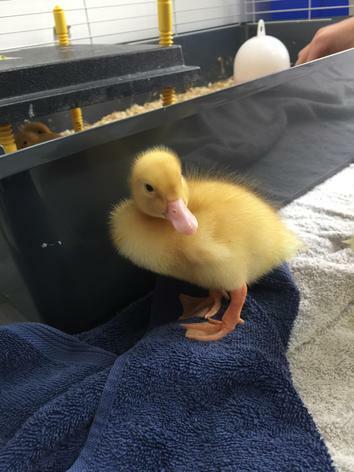 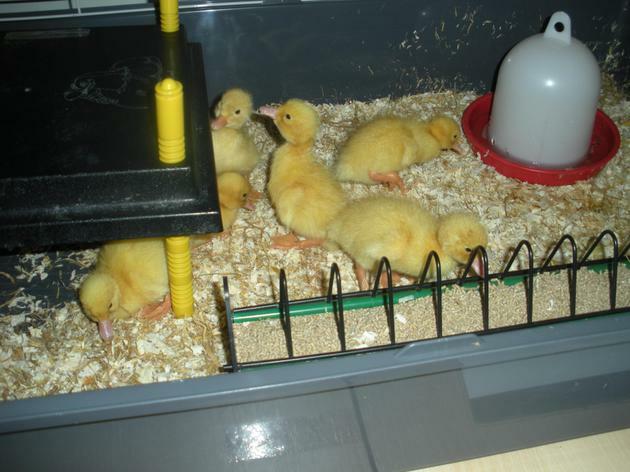 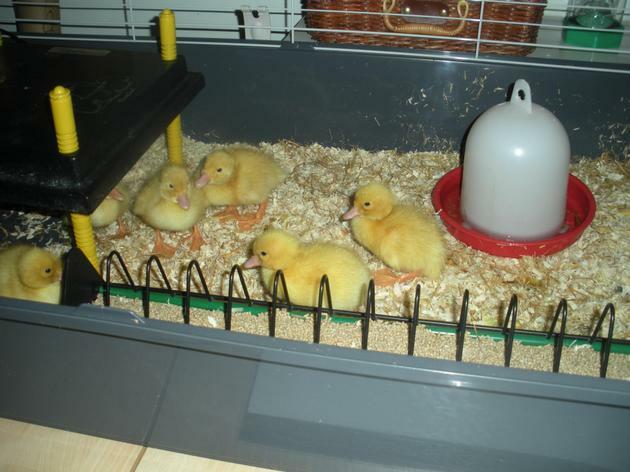 By the time the children came into school on Wednesday morning we had 4 ducklings in the cage and 2 ducklings freshly hatched which we had to leave in the incubator to dry out. 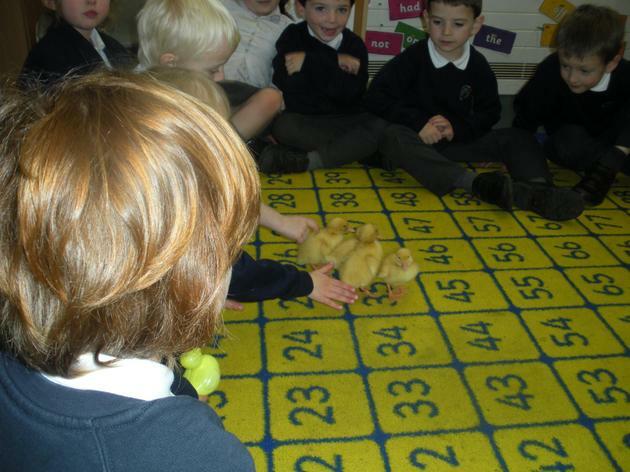 On Wednesday afternoon we got the 4 little ducklings out for a play and they loved running around and being stroked by the children.